Accepting candy donations now! 5:30-6:30 we will have decorated cars for people to walk around and get candy. 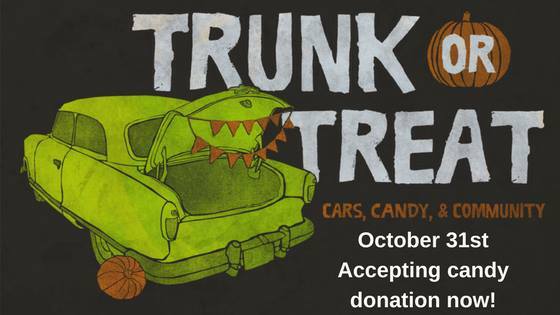 There will be a photo booth, costume contest, and contest for best decorated trunk. Bible Classes for adult and children to follow at 7:00pm. Thanks to Oriental Trading for the donation to help with Trunk or Treat! CHAOS Hayride - Sign up here!